February | 2011 | Ipoh Mali Talak Sombong! 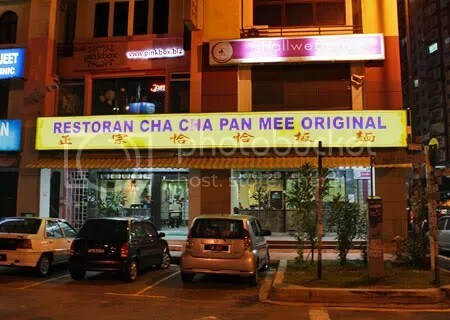 *Updates: Cha Cha Pan Mee has relocated to a new premise behind 6 2 10 Nasi Lemak & Grill, opposite Toyota showroom at the same area. 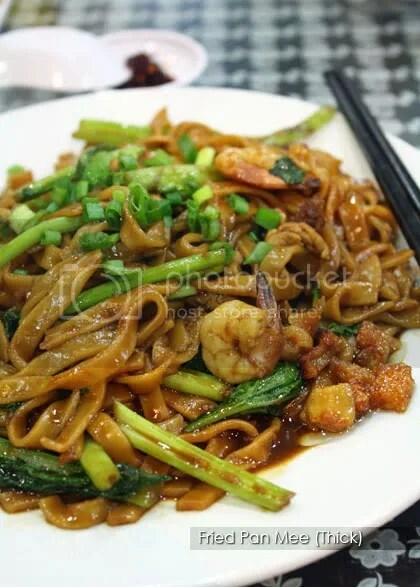 If you ask me what are the food I like in Klang Valley, my answer would be char siew (barbequed pork) and pan mee (direct translation: wooden board noodles!). 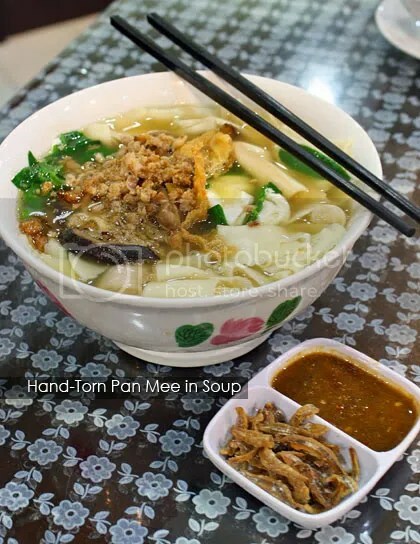 However, not all types of pan mee are my favourites, especially the hand-torn, flattened flour dough (where some people call it mee hoon kueh) because I don’t really enjoy chewing on a big piece of flour (no offense to all the mee hoon kueh fans out there yah, this is just my own preference). 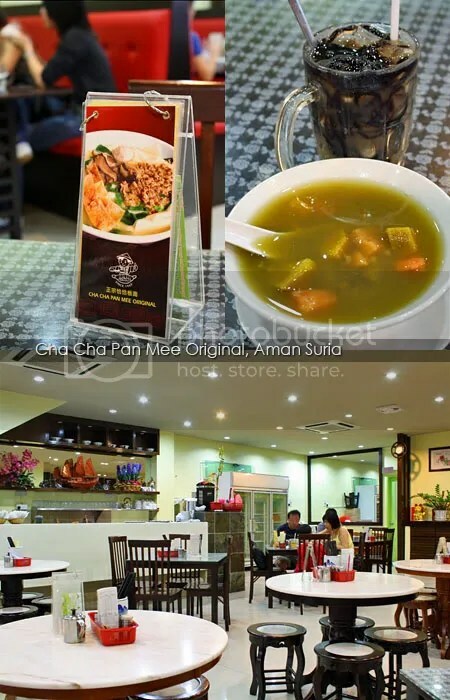 Cha Cha Pan Mee at Aman Suria is WMW‘s favourite haunt for pan mee after her usual church session on Sundays. She introduced this place to me and since then, I’ve been coming back regularly for my pan mee fix and sometimes after gym for dinner. The range of pan mee they offered here were not the fancy types (curries, tom yam or maybe other types of ingredients thrown in – you get my drift) but the usual soup and dry being the bestsellers, among other like Loh Pan Mee (pan mee in thick, slightly starchy gravy) and Fried Pan Mee. If you like, you can request them to add egg to your noodles too. 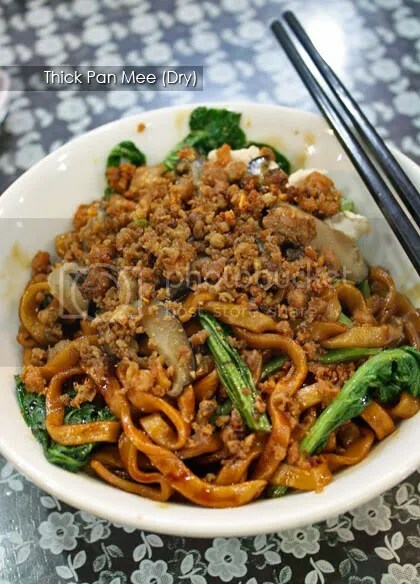 CK likes their traditional mee hoon kueh in soup because he said that the soup is sweet from the long hours of boiling. 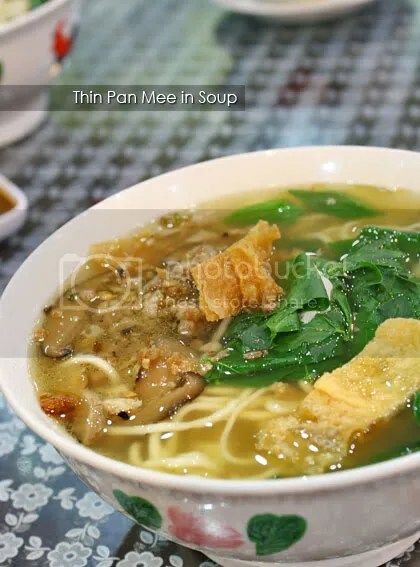 I would usually go for the dry and thin pan mee with egg as it looked more sumptuous with all the minced pork, mushroom, lard crispies and choy sum on top of it. 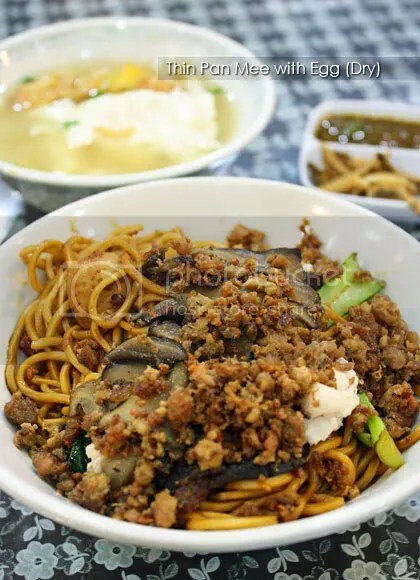 And there was one time I decided to try their Fried Pan Mee, which to my surprise, it was absolutely delish and redolent with breath of the fire/wok (wok hei). The lard crispies added brownie points to it! 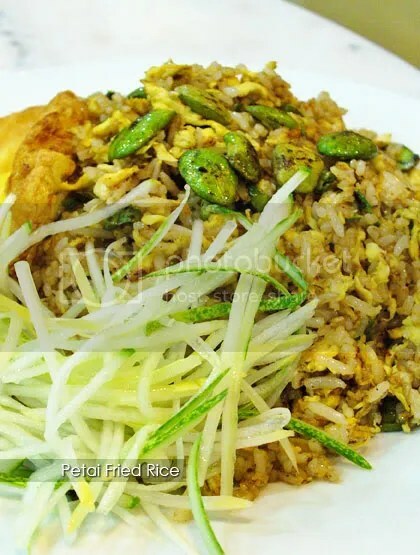 😉 WMW tried their Petai Fried Rice before (pardon the image quality) which was rather good too. They have tong sui (sweet dessert) as well, but they rotate the choice everyday. They also serve nasi lemak and economy fried noodles in the morning. Business Hour: 7.30am – 4.00pm & 5.30pm – 9.00pm. More pictures and stories at KY Speaks and Bangsar Babe.